condensed milk, and a touch of chocolate producing an incredibly smooth drink. It’s a delicious adult indulgence. 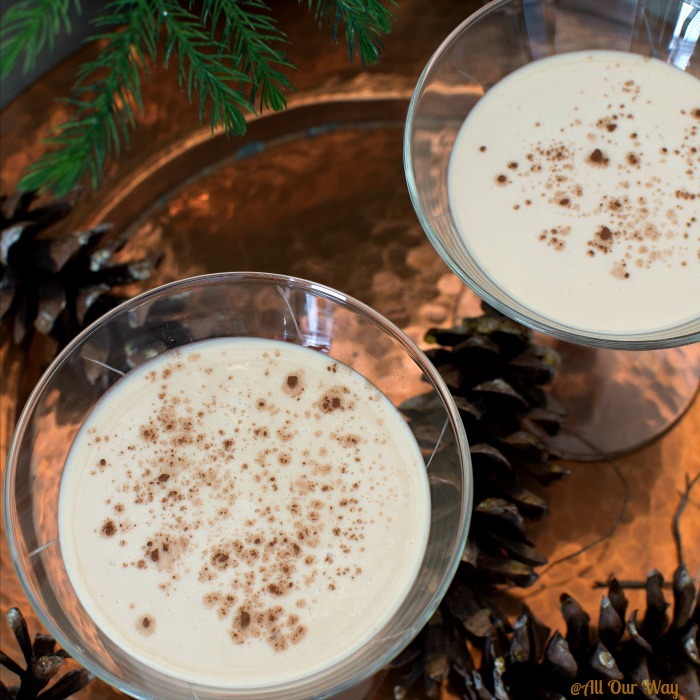 You can sip the Irish cream after a holiday meal, a special occasion, or just because you want a drink. 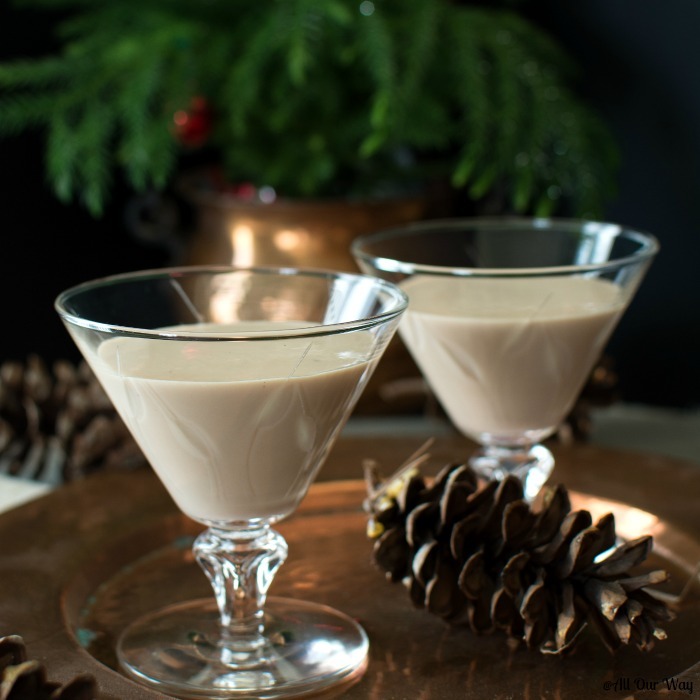 We never thought to make a Baileys-style Irish cream. It’s not hard to find, why should we go to the trouble to make it? You don’t even have to go to a liquor store; Wal-Mart carries the brand. The idea came to us when we found a recipe for homemade Irish cream, and we realized we had all the ingredients. Wouldn’t it be a nice touch to make an after dinner drink from scratch for our Christmas Eve family dinner? 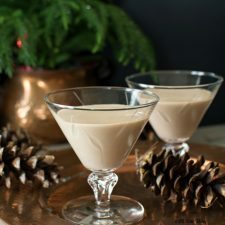 It only takes five ingredients to make this recipe that rivals Baileys: Irish whiskey, heavy whipping cream, sweetened condensed milk, cocoa, and vanilla. I know! People always say that copycat recipes are just as good as the original, but believe me, this recipe is. This after-dinner drink is incredibly smooth and heavenly delicious. Now the best part about making it homemade is that you control the amount of the ingredients you use. Don’t like it boozy? Use less Irish whiskey. Too sweet? Use more heavy cream. Do you want it to have a coffee taste? Use instant espresso with the cocoa. There are many drinks you can make with this delicious boozy cream: Salted Caramel Corn, The Lady Luck, Irish Coffee Drop. There are so many mixed drink recipes it would take you months to try them all. But the recipes don’t stop at drinks! I found recipes for fantastic desserts such as Fudge Cream Pie, Chocolate Mousse, Choccoccino Cheesecake to name a few. 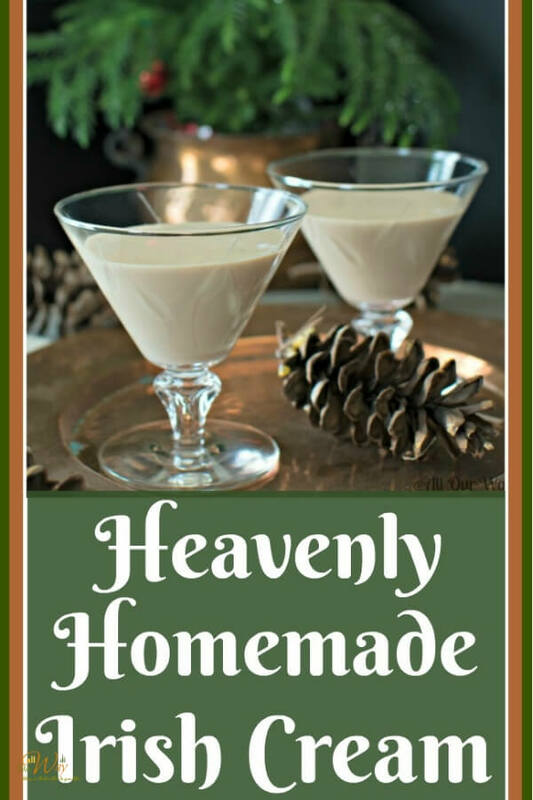 I don’t believe our Heavenly Homemade Irish Cream will last long in our house. We hope you give this recipe a try. If you like a creamy after dinner drink, this fits the bill. Be sure to sign up for our newsletter. We’re planning on posting a lot of new recipes in the coming weeks; we’d love to share them with you. See you next year! A deliciously smooth and rich after dinner drink comprised of Irish Whiskey, cream, sweetened condensed milk and a hint of chocolate and vanilla. Will keep up to two months in the refrigerator. Optional: 1 teaspoon instant espresso or coffee powder if you like a light coffee flavor. Add the espresso with the cocoa whisking the cream slowly as per the directions. Put the cocoa powder in a small glass measuring cup and mash out any small lumps. Whisk the cocoa powder with a spoonful of cream. It will forma a very thick paste. Add more cream a spoon full at a time until the paste is smooth and loose enough that you can whisk in more cream. Add the cocoa and cream in a pitcher and whisk in the remaining cream. Whisk in the condensed milk, whiskey, and vanilla. Cover with lid or plastic wrap and chill in refrigerator. Will keep in refrigerator for two months. Serve chilled in a small glass or add ice. You can also add it to coffee. Top with a sprinkle of cocoa if you like more of a chocolate taste. *If you want to make it less sweet add more cream and more whiskey, 1 Tablespoon at a time. *If you want to make it less boozy, add more cream and condensed milk, 1 Tablespoon at a time. *If you like it stronger -- you know what to do. *Since this is an alcoholic beverage plus a dessert we're not including calorie count. Note: Recipes and content from ©2016 All Our Way are copyright protected. Please do not use content or recipe without prior written permission. If you want to share the information please link to this post. Grazie. Hi, Terri! I suppose you could. I’m not a Bourbon drinker so I don’t know what the taste would be but I believe it would turn out fine. Let me know how it turns out. Tried your Baileys recipe and love it. We try a new one every year and this ones a keeper for sure! 😊 thank you. Thank you for that wonderful tip, Ann!! We are making some more in a few days and I’ll try your tips. Sending a big hug for a great tip!! Hi, Christi!! We know how you feel — our kids are torn — make it cuz it’s so good. Don’t make it cuz there is no willpower. Servings 8 3/4 coups or 30 fluid ounces? You have approximately 3.6 cups of ingredients, how do you end up with the serving amount? Did I over look something? Hi, Pam! I see where the confusion is. I switched recipe cards and when the transition occurred from one recipe card to another the word fields for makes and serves got confused. Instead of saying serves 8 — 4-ounce servings. The correct amount is in the nutrition but not how many it serves. Thank you for bringing it to my attention. It’s really VERY good. I can’t wait to make it again (and so is the family). This will be delightful during the holidays. I love making liqueurs to give as gifts. Thank you for this recipe it sounds so good. Hi, Debra! It is super easy and delicious! It’s difficult to part with once you make it — it’s that good. This is a great recipe and this is the second time I have made it. I only added about half the alcohol because I’m a cheap date. Also I did add 2 teaspoons of cocoa powder since I like that flavor a little better. I like it as an aperitif, but I also like it in hot chocolate on a cold winter evening. Very yummy and smooth. Oh this look so creamy and delicious! Hi, Arlene! It certainly was good. Looking forward to making more. Have a great week, we should learn a lot!! I have the tendency to get addicted to Irish Cream!! Usually not a big alcohol drinker but Irish Cream is always the exception. When I made it I’l like to add it to everything my hot chocolate, my mousses, cookies and of course just over ice.. I had to stop making it at home just so I would not have so much..! ha! This looks so awesome Marisa. I think I’ll make some this holiday.. I know what you mean, Veena! We took our Irish Cream to our family gathering and left it there. There wasn’t much left. Out of sight, out of mind. It sure is good, though, isn’t it? We’re due to make more. Hi, Jolina! You should be warned, though. That stuff is so good you’ll keep wanting to keep it on hand. OMG….I really don’t want to think of ALL the holiday treats. I just got back from a blogging convention….I have to walk MILES to wear all this food off. Just in time to get ready for the decadent holiday eating. I have never made this at home, but sure do use it a lot over the festive season. I will have to give this a try. Homemade is always better…and likely cheaper too. Hi, Gloria! Irish cream is so good and just as rich and decadent as the name brand. Once you make it you’ll want to keep it on hand. And I don’t want to talk calories — I get depressed. This sounds wonderful! Do you put it in your coffee too? I also like the sounds of that Salted Caramel corn drink too…..perfect kinds of drinks for this time of year. This sounds wonderful Marisa. 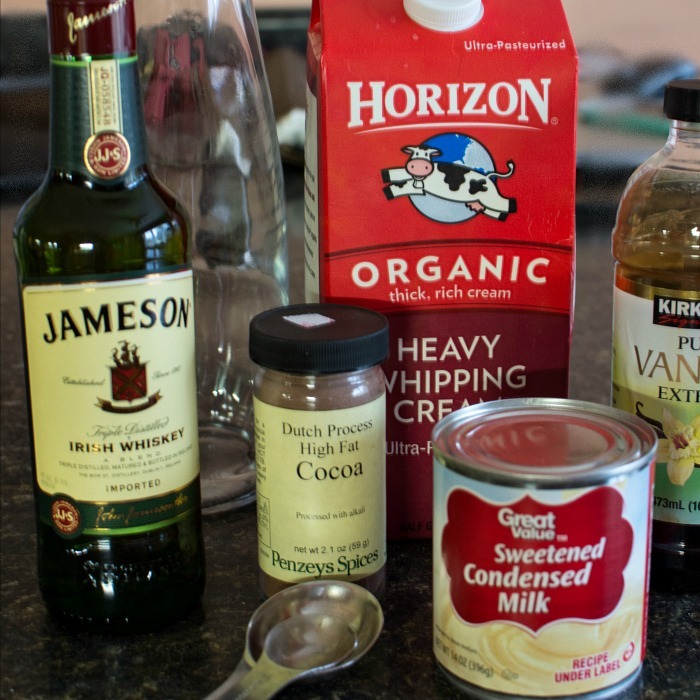 I’m a big fan of Irish Cream but never tried making them at home. 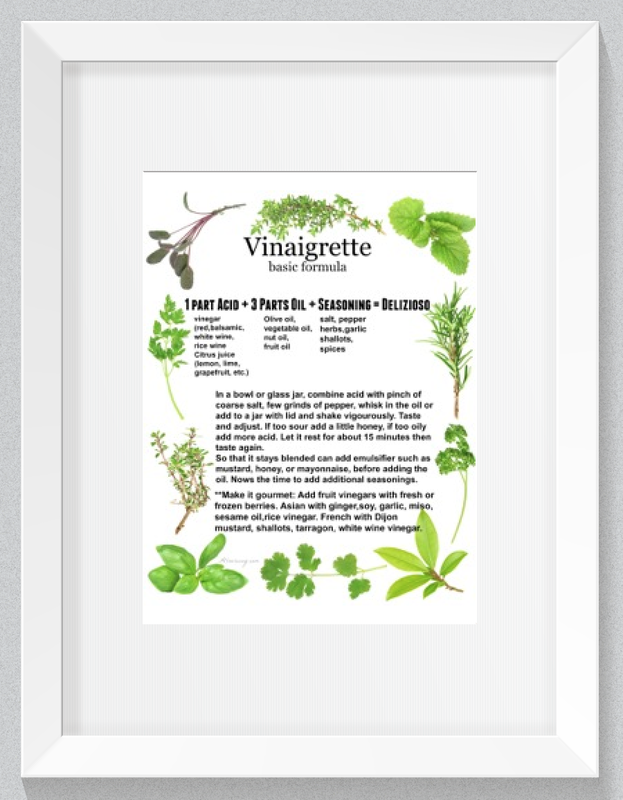 Bookmarking your recipe to try later. Hi, Molly! You’ll love it! It turns out so good. I love White Russians, so this is calling my name! They go down soooo smoothly! YUM!! Sounds like a lovely alternative to eggnog! You’re right, Frank. This would be perfect for the people who are afraid of raw eggs in their drink. It sure does taste good and I like eggnog too. Marisa, you’ve created a tasty sounding and most beautiful drink here. Your pictures look so pretty. I love how you styled the cream with the pinecones too. Hope you enjoyed Christmas and all the best for a wonderful new year. Thank you, Lisa! We had a wonderful Christmas — I hope you did too. Wishing you a successful and Happy New Year! Hugs!! I like Irish coffee but I would love this with chocolate, looks delicious, Felice anno Nuovo a te e alla tua famiglia, un abbraccio ! Grazie, Chiara. Anche a te e alla tua famiglia, un abbraccio forte! Oh how delicious and easy! I’m going to make this! YUM! Cheers. This looks rich and delicious and a great way to celebrate with friends over the holidays. Happy New Year Marisa! CHEERS AND TOAST……HAPPY NEW YEAR TO YOU AND HONEY??? Cheer to you too, Susie!! Happy New Year to you and the whole family. Love and hugs!! Hi Marisa, my favourite liqueur. Looks so good and I will be making this for sure. Happy New Year to you my friend. Auguri do Buon Anno! Thank you, Rosemary! I’ll toast with you to a successful 2017. Abbracci! Who knew? All this time I just thought it was only for coffee! I’m realizing after following your dishes I’m not as food savvy as I thought I was. Sounds good! How clever. This certainly looks like an awesome drink. Very festive and great for New Year’s Eve parties. Hi, Jovina! It is a great drink. Very smooth going down and we still have a little left here in the fridge. The rest we took for Christmas Eve. We will be in your neck of the woods New Years Eve.